Looking to add a little more “cheers” to your holiday cheer? Pabu can help you. Celebrity chefs Michael Mina and Ken Tominaga opened Pabu at Millennium Tower last fall, modeling it after Tominaga’s same-named Izakaya-style restaurant in San Francisco. Izakayas are Japan’s gastropubs, so Pabu’s emphasis is on Japanese comfort food, centered around seasonal small plates, sushi, and sashimi. 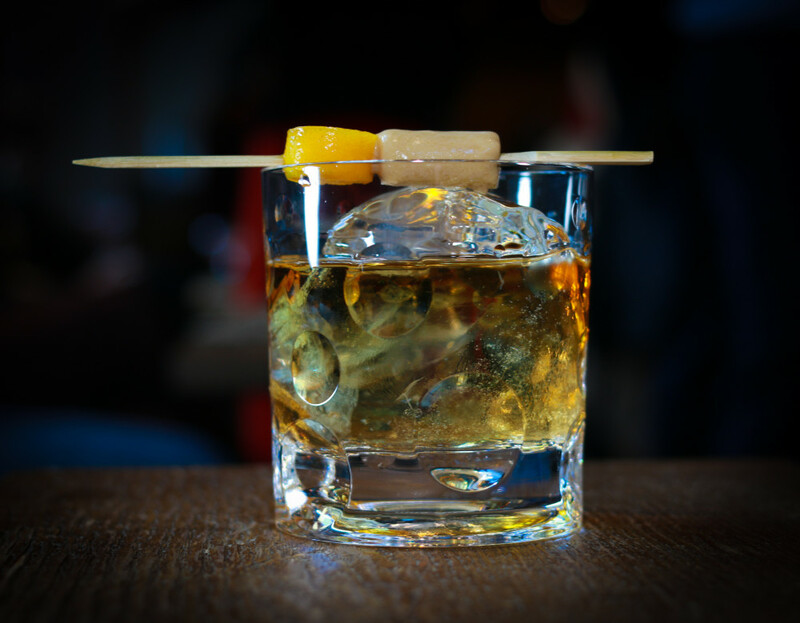 In addition, the restaurant also features a full bar, boasting one of the country’s largest selections of Japanese whisky, according to Zagat. And with the holiday season finally here, a full bar is something to take advantage of. Pabu General Manager Linchul Shin joined RadioBDC’s Julie Kramer to talk about the restaurant’s new fall drink menu, and two cocktails in particular. Last Train Home combines Boston Harbor Distillery’s Putnam New England Rye, Montenegro, and sherry to create a spirit-forward cocktail with plenty of bitter notes to play against the spice of the rye. Bottom Of The Cup features Nikka Coffee Gin, Earl Grey Cordial, Dry Curaco and egg white. The botanicals of the Japanese gin combine well with the Earl Grey, while the egg white adds texture. Listen to Shin’s description here, but be warned: once he’s done, you’ll probably want one of each for yourself as an early holiday gift. Pabu, 3 Franklin St., Boston; Bar and lounge open Monday-Friday at 4 p.m., Saturday at 5 p.m.